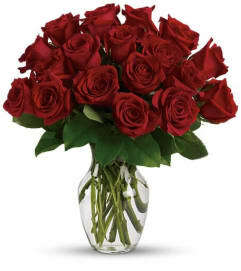 This Valentine's Day, send her a gift that's heartfelt - and sure to set her heart aflutter! 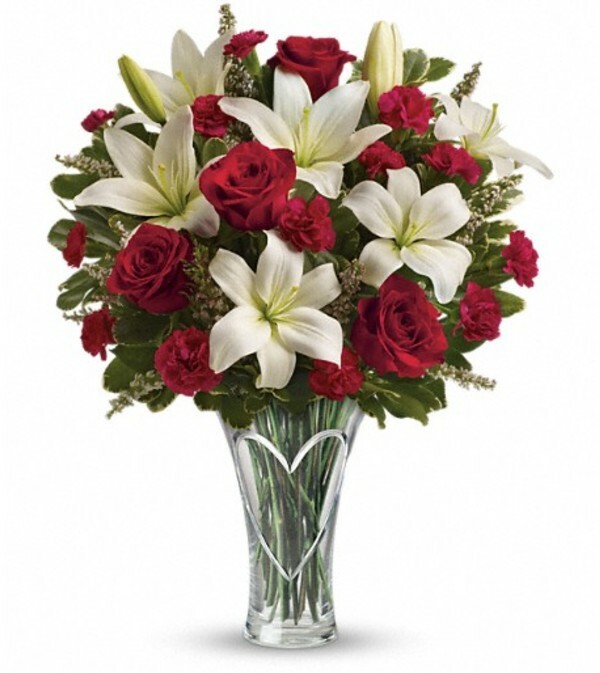 This dazzling mix of romantic red roses and fragrant, snow white lilies is hand-delivered in a beautiful hand-cut heart vase keepsake she'll enjoy all year long. Lush red roses, white asiatic lilies, miniature hot pink carnations and white heather are artistically arranged with variegated pittosporum. 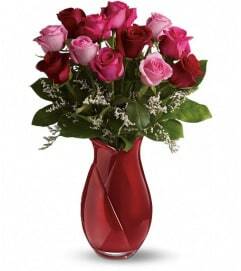 Delivered in a Heartfelt vase. Looked great and very timely! Thank you! Fort Lauderdale Florist did an amazing job on a plants we had sent locally to my son starting a new job in FL. We are in VA, so didn't know the florist. Such a great choice we made by using them! The arrangement of plants was large, fresh, colorful, and made a nice statement. Thank you FLF! 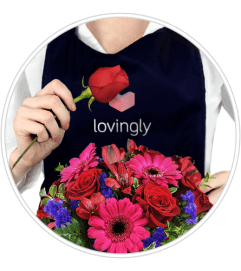 We will never need to look for another local florist as long as you are there.